Apple is conducting a very limited promotional offer at select Apple Store locations in California and Massachusetts that nets customers $50 off the price of an Apple Watch or Apple Watch Sport model when purchased with a new iPhone. According to MacRumors, the deal runs from Oct. 30 through Nov. 15 and is available only at Apple Store locations in the San Francisco Bay Area and Boston metro area. California Apple Stores in Burlingame, Chestnut Street, Corte Madera, Hillsdale, San Francisco and Stonestown are taking part in the program, while Boston customers can visit store at Boylston Street, Burlington, CambridgeSide and Chestnut Hill. Those in the market for both an Apple Watch and iPhone can take advantage of the $50 savings only in brick-and-mortar Apple Stores and both items must be processed in the same transaction. The offer is not valid online. While all iPhone versions qualify for the deal, Watch models are restricted to stainless steel Apple Watch and aluminum Apple Watch Sport products. Apple Watch Edition and the new Apple Watch Hermes collection are not included in the offer. 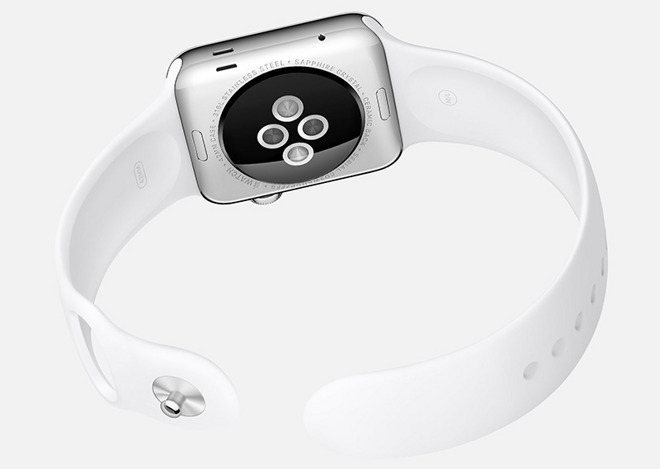 It is unclear why Apple decided to initiate the limited promotional discount. During Apple's quarterly conference call for the fourth fiscal quarter of 2015, CEO Tim Cook said Apple Watch is performing well. The company's 10-Q filing with the Securities and Exchange Commission notes Apple Watch accounted for more than 100 percent of year-over-year growth seen in the "Other Products" category, suggesting overall Watch revenue topped $1.69 billion since launch.